Every now and then, an idea comes up regarding transit solutions in New York City that seems so out there in its creativity and so out of the box vis-a-vis the way transit operates here that you have to take a step back and appreciate it. Everyone got the ferry bug a few months ago; then we heard about waterfront light rail; and who could forget when John Catsimatidis threw out the idea for a monorail during his run for mayor? Today, we have gondolas. Gondolas aren’t a particularly new idea for New York City. The Roosevelt Island Tramway delivers over 2.6 million passengers to one side or the other, and until it couldn’t keep up with maintenance obligations and passengers were stranded in the air for hours, the Bronx Zoo had the Skyfari. Now, thanks to Dan Levy, president of CityRealty, we have the East River Skyway, the latest and greatest in niche transportation for waterfront communities on either side of the East River. The idea, Levy says, came to him while on a ski trip, and his plan involves three phases that will, he claims, cost around $75 to $125 million each. The gondola system, when completed, would span from south of the Brooklyn Bridge through Dumbo and the Navy Yards and north through Williamsburg, Greenpoint and Long Island City with connections to the southern tip of Roosevelt Island, the United Nations and the South Street Seaport. Levy apparently drew his inspiration from international cities as well, something that should be applauded, but his examples leave much to be desired. He cites London’s Emirates Air Line as a comparison, but that’s a 10-minute ride geared toward tourists. Germany’s Koblenz Rheinseilbahn is a temporary structure that serves to move people to a cliff above the Rhein, and Chile’s Telerifico Bicentario remains in the planning stages. Levy’s would be among the most complex in the world and relatively long as well. As to ridership, he predicts around 5000 per hour — which is the equivalent of about three peak-hour subway trains. It’s a reasonably decent ridership, but it’s also one limited by geographic constraints. As with ferries, these gondolas get people from one coast to another, but not from where they live to where they work. Sure, some people live on the Williamsburg waterfront and work near Wall Street, but many would still need to ride a crowded subway. Thus, the problem for which Levy is trying to solve remains. Furthermore, these are issues that could be solved with dedicated bus lanes across the city’s bridges or better bike infrastructure. That’s the realistic conversation we should be having. Ultimately, this is a fanciful idea, but one that’s more pie-in-the-sky than anything else. It can move the conversation though about ways to solve transit capacity issues, and if someone wants to build it with private funding, no one other than NIMBYs with waterfront views will raise much of a stink. (The insurance costs for operating these types of systems though make them cost prohibitive and nearly impossible to run at a profit.) For now, it’s the shiny new toy. Since the end of the ferry-centric mayoral campaign, I’ve tried hard to avoid the issue of tax-payer supported boats. It hasn’t been easy. The NYC Economic Development Corporation released two different studies on ferry service and city subsidies, but I just couldn’t again tackle the issue. Now, though, it’s come back, and I’d like to revisit it. The latest comes to us from Ydanis Rodriguez, the new chair of the City Council’s transportation committee. Rodriguez is, by most accounts, a great choice for the position. He understands the city’s bus and subway systems, isn’t focused on the primacy of the automobile and has embraced plans to drastically reduce, if not outright eliminate, pedestrian deaths. He has one Achilles’ heel: ferries. Now, the biggest problem with Washington Heights is self-evident from, well, the neighborhood’s name. It’s in the heights! That’s not just the name of a Broadway show, folks; that’s an accurate geographic description of the neighborhood. It’s high up there; it’s not near the water. 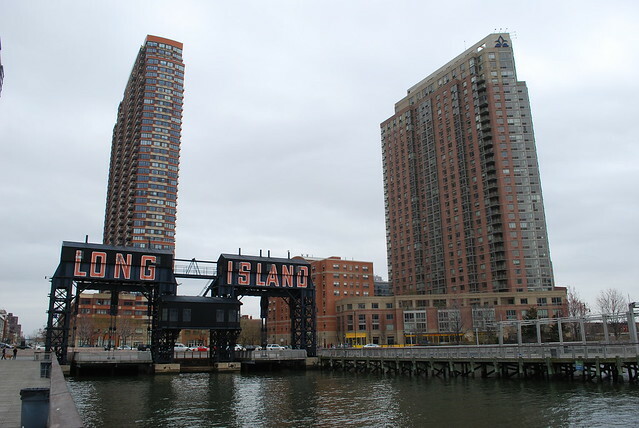 Even the marina at Dyckman St. is further away from the subway for nearly every single resident of the area, and the ferry service itself is impractical. Where does a boat from Dyckman St. go? To 39th St. and the West Side Highway? To the World Financial Center, itself a 13-stop express train ride from Dyckman Street? What’s next — a call for better ferry service for Ditmas Park<?a>? Now, to be fair to Rodriguez, he later told me that he would more than willing to conduct a cost-benefit analysis. I urged him instead to take whatever city money he would want to use for this ferry service and invest it in the bus network or the subway. If he feels transit options from his district aren’t sufficient enough, money for increased service along the high-capacity transit routes that would be a far better use of the same taxpayer dollars. For buses, in particular, a $9 million investment — similar to the city’s contribution to the East River ferries — could go a very long way toward improving reliability and frequency of service. The city, through its EDC documents, says that it subsidizes ferries to the tune of over $2.25 a ride. This is far more than the city’s contributions to New York City Transit, and the ferry fares are still steeper. Meanwhile, the successful East River ferries carry a hair over 3000 passengers per weekday. The M15, a very successful Select Bus Servicer out, carries nearly 20 times as many riders. Two peak-hour A trains can carry more riders than the ferries do all day. Outside of the ridership and economics, there are questions of resources as well. Should the City Council be devoting the same time to ferries as it does to, say, considering the proper way to roll out bus lanes? Should DOT or the MTA? Should NYCEDC? While New York is a city dependent upon and at the mercy of its waterways, most New Yorkers don’t live near the water and don’t work near the water. Furthermore, we have a vibrant subway system that provides a relatively high-speed, high-capacity route through disparate neighborhoods that needs more attention. Ferries ultimately are simply a distraction from real issues. Let’s leave them at that. Polly Trottenberg, current Under Secretary for Policy at the U.S. Department of Transportation, will serve as the Transportation Commissioner, executing Mayor-Elect de Blasio’s ambitious agenda to expand Bus Rapid Transit in the outer boroughs, reduce traffic fatalities, increase bicycling, and boost the efficiency of city streets. As a further sign of some skewed priorities, as we enter 2014, pre-tax mass transit benefits will drop from $245 per month to $130 while parking subsidies will increase to $250 a month. The change comes on the heels of Congressional inaction in Washington, D.C. Andrew Grossman of The Journal runs down why the subsidy is dropping precipitously, and needless to say, no one who relies on mass transit is too happy about this change. Even if Congress reauthorizes the $245 tax break, it is unlikely that the benefits will apply retroactively as administering such a change would be quite complicated. So while subway riders who need only a monthly MetroCard escape with their full subsidy in tact, anyone who is, say, a monthly commuter from Zones 4 or on beyond on Metro-North won’t have even half the cost of their passes covered by pre-tax deductions. But fear not; Chuck Schumer is on it. “Mass transit is the lifeblood of the New York area, and this provision helps keep it flowing and affordable. Passing it will be a top priority in the New Year,” the state’s senior senator said. Happy New Year, indeed.